I was so excited about this last night I couldn't sleep! 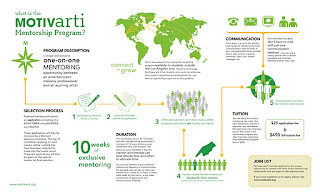 Some of you may know that I founded an organization at the beginning of the year called, Motivarti. It's a resource for artists aspiring to get into the entertainment industry (animation, video games, children's book illustration, toy design, consumer products, etc). 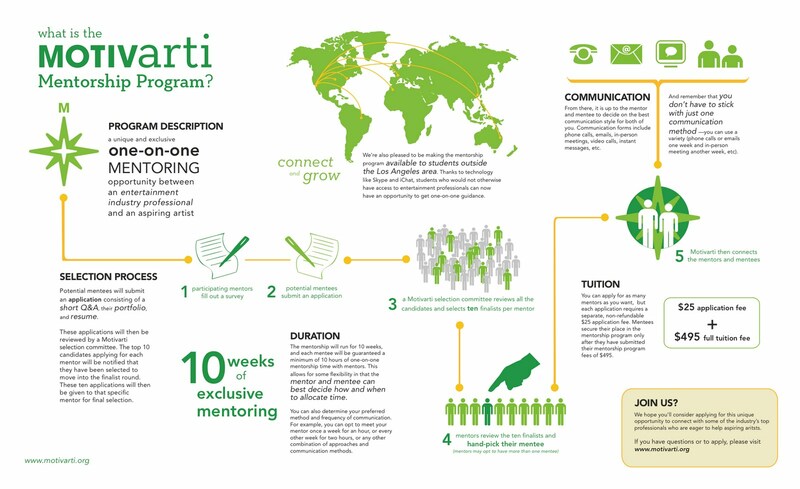 The Motivarti Mentorship Program was designed to connect industry professionals with aspiring artists. The mentorship program is a unique and very selective program where the mentors hand-pick their mentees from a group of finalists based on an application consisting of a short Q&A, a portfolio, and resume. This ensures that the mentors will be working with someone in whom they’ve recognized key characteristics and potential, as well as a way that their professional knowledge can help you reach the next level. We’re also pleased to be making the mentorship program available to students outside the Los Angeles area. Thanks to technology like Skype and iChat, students who would not otherwise have access to entertainment professionals can now have an opportunity to get one-on-one guidance. OK, this is incredibly awesome. THANK YOU SO MUCH!